Cosmetic industry leaders Revlon® teamed up with Walgreens® stores for a creative promotion to boost sales and enhance customer loyalty. 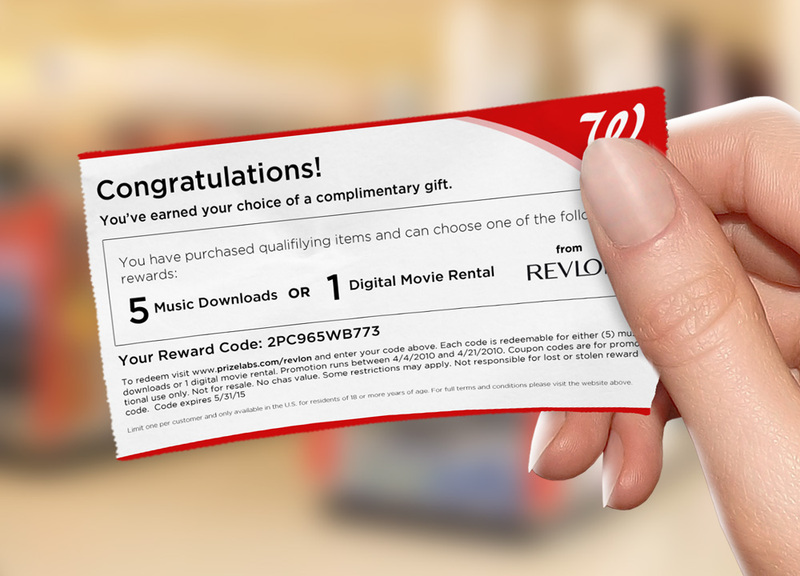 With the purchase of 3 Revlon products from participating Walgreens stores, a coupon certificate for FREE Music Downloads was printed at the register. Customers followed instructions on the certificate to a branded website where they could redeem their free music. This cross promotion of a gift with purchase was a winner for both companies; increasing store traffic for Walgreens while providing an incentive for multiple purchases of Revlon products. 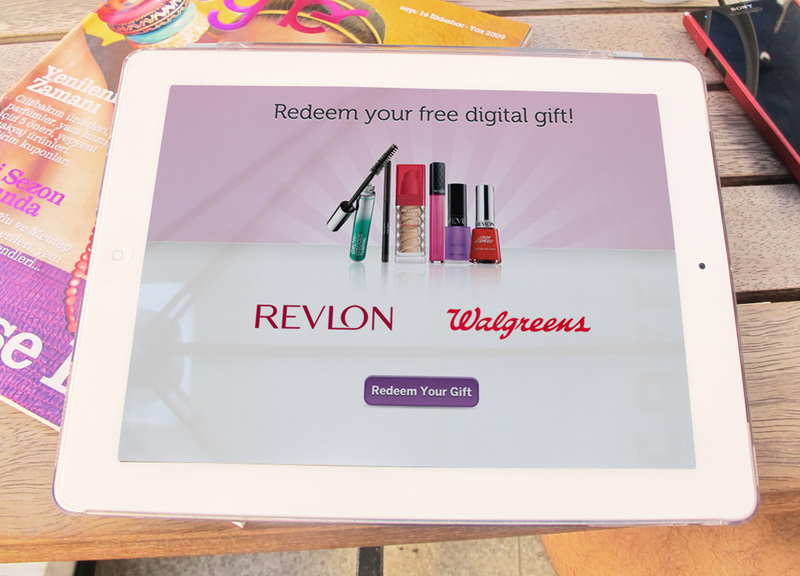 Register Coupons were a cost-effective way for Revlon to reward their customers and increase their brand loyalty.